Former British Touring Car Champion Andrew Jordan last week revealed the machine with which he will bid for a second BTCC drivers’ title in 2016. 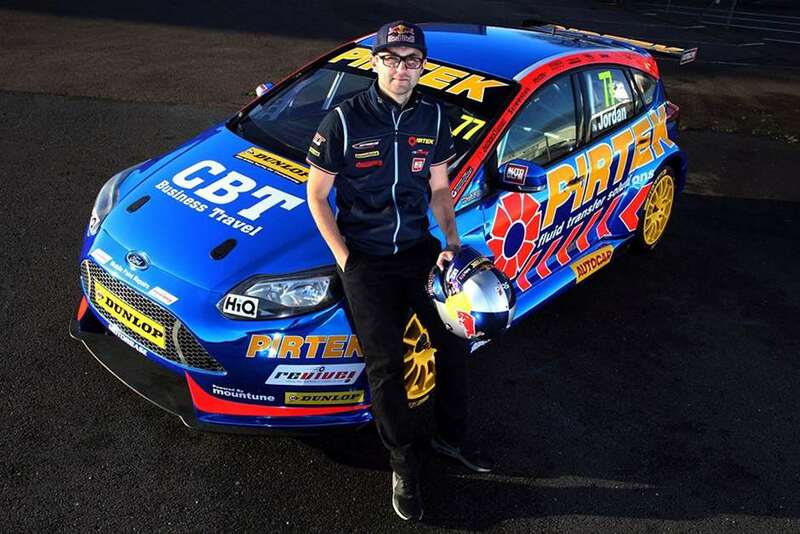 The 26-year-old pulled the covers off the Motorbase Ford Focus ST during a launch at Silverstone and is planning a rigorous testing programme to ensure he hits the ground running when the season gets underway at Brands Hatch on April 3. Jordan, who’s a regular at the Members’ and Revival Meetings, is a 14-time race winner in the BTCC – Britain’s biggest championship. He won the drivers’ title in his family-run Eurotech Honda Civic in 2013, thanks to six wins, six other podium finishes and points placings in 29 of the 30 races. After a year spent defending his title aboard the Civic in 2014 and a disappointing season – with no wins – in a Triple 8 MG6 this year, the Midlander has switched to the crack Motorbase team and one of its race-winning Ford Focus STs for 2016. The car, backed once again by Andrew’s long-time sponsor Pirtek, joined the series late in 2015 but was immediately a winner in Mat Jackson’s hands. Before preparations for the day job get under way, Jordan will be at the Motor Circuit tomorrow to put a few historic racing machines through their paces ahead of a series of online features in the build up to the 74th Members’ Meeting in March. Look out for pictures, video and musings from Andrew’s day at Goodwood.